The TS ECET Exam conducted by the JNTUH on behalf of Telangana State Council of Secondary Education. The candidates who completed their Diploma and B.Sc can study B.Tech Degree from 2nd year by qualifying the ECET Exam. The candidates had already completed their exam and also finished the certificate verification process. So, now they are waiting for ECET Web Counselling announcement. The web Counseling process contains the web options to choose colleges. Before Attending the Web counselling, you should know the top college’s list in Telangana. So, here we have Furshined the details regarding the College List and fee structure for your Convenience. 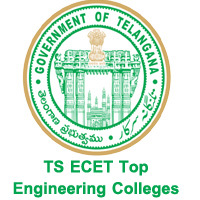 Refer the Top Engineering Colleges Telangana here. Name of the Exam: TS ECET Exam 2019. Organization Name: Jawaharlal Nehru Technological University Hyderabad. Result Date: 24th May 2019. Category Name: College list and Fee structure. The Candidates who completed the Certificate Verification Process at various helpline centres should have to check the Top Colleges List for TS ECET Web Counseling. Not only the Top Colleges list but also College fees structure plays an important role during the Web Counselling. There will be different Fee structure for different colleges. So, you need to verify the details of colleges list and Fee details at the time of counselling carefully. Check for the top Universities list, from the below Sections. Sir I got 1792 branch rank and 11212 integrated SC caste and community wipp I get. In kits warangal. Is there any fee. Is this management seat cost or convenor cost ? U have to join through management quota seats… For these management quota seats u have to pay some amount of money for every year….. Yes! You got seat in OSMANIA UNIVERSITY. You will get free seat definitely in same diploma College! top first college garanteee….. but 17000 theskuvelli bank lo vesko….ok na…. How seat in telangana for mining engineering. mohan yateendra says I got 951 branch rank and 2000 integrated BC B caste I get in JNTUC HYDERABAD Is there any fee. I got 951 branch rank and 2000 integrated BC B caste I get JNTUC HYDERABAD. Yeah bro obviously vastadi !! Sir I got 1009 rank in ecet if I get free seat in top college..
Can any one please say me What is the rank limit for full fee reumbersement im OC my integrated rank is 1166 and branch rank is 275. Am i elogible for full fee reumbersement???? I got 403 branch rank and 2613 integrated rank, will I get a seat in kakatiya University?? Sir I got 2064 branch rank and 6223 integrated SC caste and community wipp I get. In kits warangal. Is there any fee. he got 397 branch rank and 6440 integrated rank. can i expect seat allotment in top colleges by convener quota? OR what is the fee structure for management quota in various colleges?? Did i get mining seat? Sir I’m eee student.i got 4000 branch rank.and I can’t pay without other fees .only I can study the 35000 rebuirsment colleges .plz can show the colleges list.can u say that which type of college in alloted my seat. Dear sir, i got 729 in mechanical branch and 3098 integrated rank, am belongs to BC-B category. Can i get seat in top 10 clgs in telangana. Pls provide me top clgs list in telangana. Dear sir, i got 729 in mechanical branch and 3098 integrated rank am from BC-B category. Can i get seat in top 10 clgs in telangana. Pls provide me the top clgs list in telangana. Sir I got Ecet branch rank 2400 and integrated 9300 .can I get counselling seat in vardhaman college and I am minority student bc-e is my caste.I am a mechanical student. Sir iam peeru Naik ..
Can I get seat good colleges..
Sir I got 1110 branch rank and 7548 integrated rank so I want to join In top colleges sir.. Please information about my rank. I had completed diploma in ap and wrote tsecet Is there chance to fee reimbursement in ts? Sir I am completed diploma civil engineering I have join in best collages Plz…. ecet qualified kakunte btech lo seat a college lo vasthundhi ? Sir i got rank 17000 in ecet i m a girl and my cast is bce so will i get seat in this top colleges ? Can i get an admission in bits-pilani through ts ecet…if i get also… do i need to write BITSAT exam…. and what is the fee structure??? will u plz rply me fast…!!! I am naveena l got 631(branch rank),5285(integrated rank)can I get seat in MVSR college.sir please leave a reply……. I belong lo ap state I written ts ecet and I got branch rank of 165 in cse and integrated rank1450 . Iam a student of electrical branch….i got 740 branch rank and 1870 integrated rank in ts ecet 2018…can i get free seat in top 10 colleges? Sir, my name is kavya. I got 414 branch rank and 2920 integrated rank in ts ecet 2018. Can I get the seat in ou or jntuh? And my caste is Bc B.
sir, my name is b. srikanth, ts ecet 2018, branch: cse, branch rank: 1234, total rank: 14209, marks: 59, cast: bc b, best college lo seat dhorukuthundha. Hi sir IAM naresh I have small finencial problem ..
My branch is applied electronics and instrumentation. Above shown college wise fee details is with combined with scholarship? or without including scholarship? Hello, my ts mechanical branch rank is 233,OC category ,I am from Andhra, What college may I get?Will I receive fee reimbursement? he got 271 branch rank and 4150 integrated rank. There is no update in CMR collage of fee..
my tsecet branch rank is 1448 and my integrated rank is 3826. Sir , I got 5458 branch rank in ecet. EEE branch. In which colleges i can get seat. Please help me in sending list of colleges according to my rank. Sir SRHP college in warangal fees enthaa diploma,eee,nenu SC category but maa ammadhi govt job so,fees entha undachu…. Sir Naa branch rank 4690 ,EEE, Nenu NCC category Lo Counclling ki Vellina, Nak manchi clgs Lo seat vosthunda sir… Plz rly me sir.